After a distinctly eye-opening (for him, as well as the audience) stage debut with cult post-punk outfit DUM DUM DUM in 1979 (where he poured beer over his Wasp synthesiser, thereby persuading it to self-generate sounds at random- it did survive, and still works) Tom Green spent the ‘80s playing keyboards with various artists including African guitar luminary Abdul Tejan-Jalloh, while also teaching himself new methods of writing music, with early computer music systems, by writing a good deal of music for the corporate media market. As the early dance culture bloomed, Tom found himself collaborating with a strange group of musicians and sound designers on what became a seminal album of the early ‘90s, THE ORB’s “Adventures Beyond The Ultraworld”, and went on to contribute tunes, beats, and various odd noises to a further 4 albums by the group, including the No 1 album “UF Orb”. During this period Tom took occasional time out to work on his own project ANOTHER FINE DAY, which took the ear of Big Chill founder Pete Lawrence, who booked him 15 times in a row for the BIG CHILL festival. (Tom remains one of the few artists who has played at every single Big Chill) Fans of ambient music voted the first AFD album ‘Life Before Land’, released in 1994, to No 3 in THE INDEPENDENT’s chart of ‘Greatest Ambient Albums’ in 2007. A second AFD album “Salvage” was released on the San Francisco label SIX DEGREES in 2000, and the EP “Chasing Tornados” in 2004. “Music for MRI Scanners” (under his own name) followed in 2007. As well as further collaborations and remixes with THE ORB, Tom co-produced two albums for BAKA BEYOND, Martin Cradick’s respected world music project, incorporating elements of singing and drumming from the forest people of Cameroon. In the meantime Tom has continued to compose music for the media, including BBC, CHANNEL 4, and RTE, as well as contributing tracks to quality music library Atmosphere (now part of Universal music group). 2007 brought him his first feature score, the comedy horror ‘BOTCHED’ (http://www.imdb.com/title/tt0790590/)- winner of BEST FEATURE and BEST ACTOR at the NYC Horror Film Festival in 2007- and Tom continues to provide soundtracks for TV, film, and other media use. A further AFD album is rumoured to be in production, release date not confirmed. Tom is a member of BASCA, PCAM, MU, and AIM, as well as the Screened Music Network. Tom’s work is usually published by Kaleidoscope Music Management and Publishing, in association with Notting Hill Music. Shopping (2016) Trailer from Little Cricket Films on Vimeo. This entry was posted in Uncategorized on November 24, 2016 by Another Fine Day. Now that summer gigs are over and it’s back to the studio… I’m now actively looking to work collaboratively with visual artists needing some kind of sound in their installations, whether that’s recorded or live. Absolutely all and any projects considered, likely completion and display expected for 2017. Please contact and I’ll get back to you. This entry was posted in Uncategorized on October 4, 2016 by Another Fine Day. Coming up June 11th at St Ethelburga’s, Bishopsgate, London. It’ll be a great pleasure to play array mbira for Haymanot Tesfa, a rising and truly stunning Ethiopian singer. 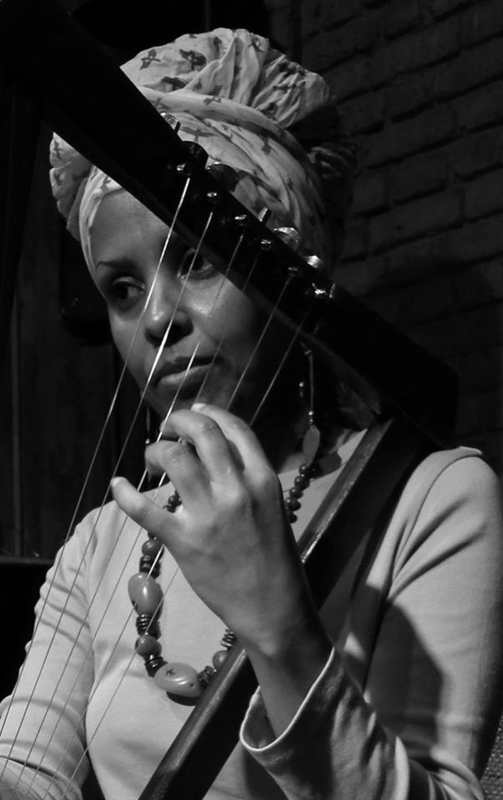 Amharic singer & traditional krar player Haymanot Tesfa was born & raised in Ethiopia and now lives in England, and is emerging as a rising star on the world music scene. Although her music is inspired by deep reflection on the dramatic ancient landscapes and meditative social & religious music of her Ethiopian roots, the sound of Haymanot’s voice is t he true song of a free spirit, fearless and intensely experimental. The songs Tezeta & Ambassel are the first recordings in a series of vibrant new interpretations of iconic traditional Ethiopian songs that will be released as her debut solo album CD later this year. This entry was posted in Uncategorized on June 2, 2016 by Another Fine Day. This entry was posted in Uncategorized on April 26, 2016 by Another Fine Day. This entry was posted in Uncategorized on March 30, 2016 by Another Fine Day. Now that’s what I call a fan. Thank you, Oliver. This entry was posted in Uncategorized on February 25, 2016 by Another Fine Day. This entry was posted in Uncategorized on January 29, 2016 by Another Fine Day.